This condo provides views beyond comparison! Beautifully finished end unit. Light, bright and comfortable describes this home. Expansive deck for outdoor entertaining at its best. Freshly painted and carpets cleaned in 2018. Hardwoods. Vaulted ceiling and loads of natural light. Home offers a Nest thermostat. 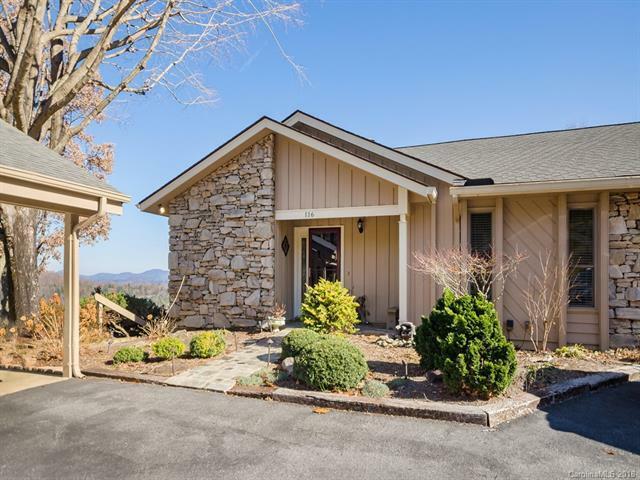 Convenient location for all amenities Laurel Park and Hendersonville have to offer. Lots of storage space/crafting room. Office space and 2nd living area downstairs. Large wine storage unit and all furniture negotiable. Review covenants and restrictions regarding dog policy. Come see soon--won't last!